Easy introduction into Entrelac with the interest of Noro's beautiful color contrasts in Silk Garden and Solo! You can also just knit it in Kureon, or any Aran weight yarn. 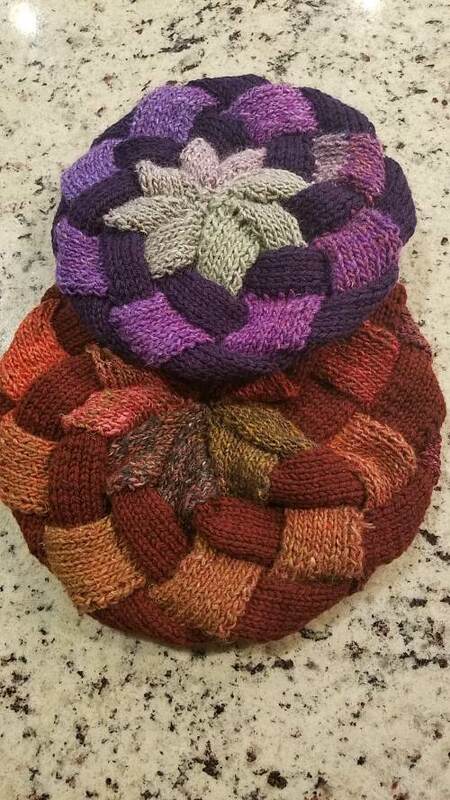 Accomplishing this pattern with it's graphics and links to You-tube videos will entice you to knit a bigger entrelac project!